There’s a big reason why every golfer carries many different irons in their bag: a quality iron set will let you shoot from almost anywhere on the course. Long irons can be used as your driver on short par 3’s, while shorter irons are great for hitting from tight lies or for lobbing balls over hazards. Whatever your predicament, an iron can get you out of it! Find the golf irons you need to play at your best at Carl’s Golfland! This doesn’t mean choosing a specific brand or picking a 2 iron over a 5 iron. There are two large types of golf irons: player irons and improvement irons. Player Irons are the least forgiving but provide the best response, trajectory, and carry distance for skilled golfers. Professional players and golfers with exceptionally low handicaps should be using player irons to get the best results. Improvement Ironsare designed to be much more forgiving. For players with high handicaps, a set of improvement irons will produce much better strokes and a lower overall score each round than player irons would. So, pay attention to your handicap when choosing an iron set. Using clubs that match your skill level is what will allow you to continually play at your best and improve over time. When choosing golf irons, you also want to choose the correct shaft flexibility for your playing style. If you have a low handicap and a very high swing speed, using a less flexible shaft will let you maximize the power and accuracy of each swing. For players with higher handicaps and lower swing speeds, golf irons with more flexible shafts will allow you develop greater force in your swing and give you better distance. 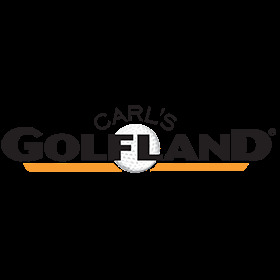 Carl’s Golfland carries golf iron sets for players of all preferences and skill levels. We also have the lowest prices in the industry, and we even give you free shipping on our clubs to make sure you get the best possible deal! As a continued part of our commitment to make your shopping experience as easy as possible, if you find out that the club you ordered isn’t the correct size, you can return it to us and we’ll give you 100% of your money back. If you want to be absolutely sure your irons fit perfectly, we recommend that you try out your clubs before you buy. If you live near Detroit, come to one of our Carl’s Golfland locations to be fitted for the perfect clubs. Our Launch Pad Fitting Center is staffed by Master Club Fitters who will analyze your swing to get you the best golf irons for your playing style. We even offer FREE basic fittings if you call us today at 248-335-8095. If you don’t live near Detroit, that’s ok! Our expert staff can still help you find the perfect iron set. Just give us a call at 877-412-2757 to get some expert advice.